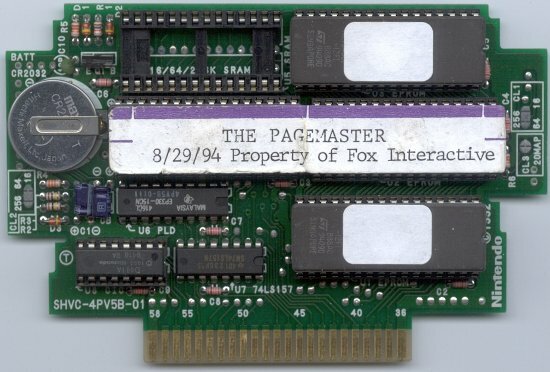 The Pagemaster is a platforming game. This prototype of the game looks fairly close to complete. Thanks to Martin at NES World for the ROM Image! The Pagemaster was an animated film in the early 90s featuring Macaulay Culkin. Though it didn't reach the level of popularity as the Disney's animated films, the kid friendly adventure was suitable for a video game. 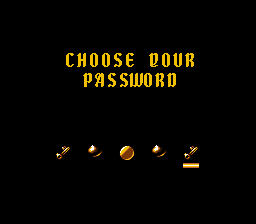 As you can see, the password in the prototype has one less entry in it. 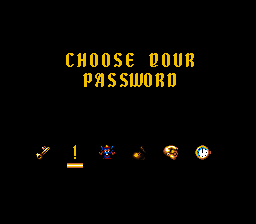 It also only has three options to fill in the slots, while the final version has many more. Honestly, the game isn't all that great, and I didn't see any significant changes in the first few levels. Looking at the ROM image, it appears there are some extra graphics in the final, and some of the data have been shifted around a bit.